Doves are a sign of peace and our angel holds a dove close to her ensuring that the dove goes far and wide in spreading its message of peace and love. 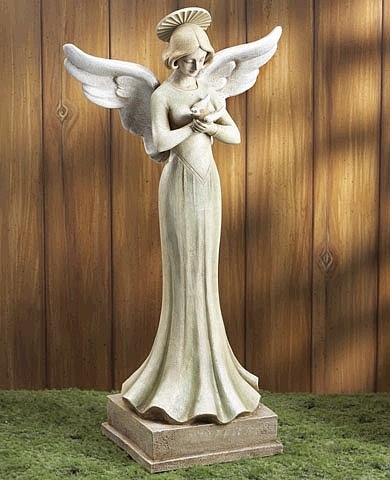 Made of resin, our lovely angel sculpture comes beautifully hand finished with detail. Resin. Delivery: Please allow 4 weeks.